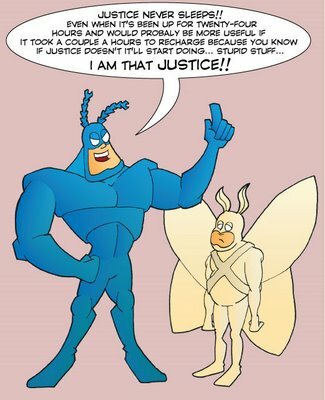 Posted by thetickthatbitme in Prevention, TBID Facts. It’s officially questing season for ticks. Billions of blood-loving arachnids are looking for their next meal, and it could be you. This wouldn’t be such a problem if ticks didn’t carry so many life-disrupting (and sometimes fatal) diseases. Here are 10 tips for avoiding the bite and its potential consequences. 1. Don your armor. Ticks attach to your skin. The best way to prevent this is to keep skin covered and to wear clothing that is treated with a tick repellent (like permethrin or cedar oil). Long pants are a must; tuck them into your socks or boots. (I know it looks stupid, but if enough people do it, it will become cool–I promise. It’ll be like wearing UGG boots with a miniskirt.) I’d also recommend long sleeves and a hat (better for ticks to end up on your hat than on your scalp). Wearing light colored clothing makes it easier for you to spot ticks on you. 3. If you must enter the danger zone, use common sense and be vigilant. When hiking, stay in the middle of trails and keep your distance from wild animals—no feeding the squirrels, etc. If you’re an avid golfer, don’t go trudging into the rough to retrieve your ball. Your score may suffer, but your immune system will thank you. Don’t believe me? Read this. 4. After outdoor time, do a proper debriefing (pun intended). When you come back indoors, before you hug the kids, post pics to Instagram, do the dishes, WHATEVER, remove your armor and toss it in the dryer. (Yes, before you wash it.) Experts used to say that an hour on high heat was necessary to kill ticks on clothing, but it may take as little as five minutes on low. See this article about Jacqueline Flynn, a high school student who researched tick-cide by dryer. Once your armor is in the dryer, it’s shower time for you—but first, you need to do a naked tick check. (Enlist the help of a spouse or family member, and don’t be embarrassed. Monkeys do this all the time.) Remember, nymphal ticks can be as small as a poppy seed, so you need to look carefully. Don’t forget to check the scalp, armpits, backs of knees, and groin area. 5. Preserve the evidence. If you find any ticks, don’t squash them, burn them, or flush them down the toilet. If a tick is on you, it might have bitten you, and you need to have it identified and tested to see what you may be dealing with. If a tick is attached to you, remove it gently with tweezers and put it in a closed container like a prescription bottle. Then call your doctor’s office and tell them you have a tick you’d like identified and tested. 6. Protect the pack. Your dog or cat is vulnerable to tick exposure as well, and ticks can easily hitch a ride into your house on your pet. Treat your pet with a vet-recommended tick repellant and do a tick check every time he/she comes in from outside. Keep your pet out of danger zones (including woods, leaf piles, and dog parks) during the summer months (tick questing season). Also, it’s strongly recommended that pets have their own bed instead of sharing yours. 7. Take control of your yard. Regularly dispose of fallen leaves, and mow your lawn short to decrease the likelihood that ticks will hang out there. Dispose of temptations for rats, mice, other rodents, and deer (fallen fruit, dog droppings, trash, etc.). Move wood piles (a.k.a. rat habitats) away from your house, and make sure all outbuildings (sheds, garages) are free of mice, rats, and other critters. You may also want to try spraying your yard for ticks—you can go the chemical or natural route, depending on what you’re comfortable with. Lastly, remember that birds carry ticks, too, so don’t attract them to your yard with bird feeders and bird baths (a.k.a. disease breeding pools). If you want to bird-watch, invest in a good pair of binoculars. 8. Take control of your house. Mandate that all humans and animals entering your home following outdoor activities undergo proper tick-checking procedures. Educate family members about the danger zones and how to spot ticks. To avoid your home becoming a danger zone, make sure there are no unwanted houseguests in the attic, crawl space, or walls (including mice, squirrels, raccoons, feral cats, and birds). 9. Know what you’re looking for. There are many different types of ticks—deer ticks, dog ticks, lonestar ticks, soft-bodied ticks. Depending on where you live, you may have a few or all of these in your neighborhood. Technically, ticks are spiders—they have eight legs—but they look different from spiders in that their bodies are larger in proportion to their legs. If you see something on your body that looks like a tick, don’t waste time trying to identify whether or not it’s a tick—get your tweezers and remove it ASAP, get it into a container, and then worry about what kind it is. See this post for some up-close tick pics. 10. Know who to call. Make sure that your primary care physician and/or infectious disease specialist is on-board with your disease prevention plan. Ask about tick testing. Do you need an appointment to drop off a tick for testing? Can the lab your doctor uses provide containers for tick collection? Is your doctor willing to prophylax you (prescribe a short course of antibiotics within 48 hours) if you get a tick bite? If your doctor is not on board, you can appeal to him or her by sharing the research, or you can start shopping for a new doctor. What Is Prophylaxis, and Does It Work on Tick Bites? Posted by thetickthatbitme in Diagnosis, Prevention, TBI Facts. I have a confession to make. I have a phobia of most creepy-crawly things–roaches, mosquitoes, spiders, and especially ticks. When I see pictures of any of these critters, my first instinct is to shield my eyes. Ick! But what I should be doing is taking notice, so that if a tick ever gets on me again, maybe I can identify that little jerk. Today’s post is about the misconceptions that many people have about ticks. As I warn frequently, there’s a lot of misinformation about ticks and the diseases they spread in the mainstream media and on the Internet. Here are six big misconceptions. #1: Only deer ticks transmit diseases. Deer ticks (a.k.a. blacklegged ticks) carry a lot of pathogens, including those that cause Lyme disease, Anaplasmosis, Babesiosis, and Bartonellosis, but they’re not the only ones you need to worry about. Dog ticks (Dermacentor variabilis) and wood ticks (Dermacentor andersoni) carry Rocky Mountain spotted fever (Rickettsiosis), Tularemia, and the Colorado Tick Fever virus. The lone star tick (Ambylomma americanum) carries Ehrlichiosis and the pathogen that causes STARI; bites from this tick have also been linked to a delayed allergic reaction to red meat. Two other types of Rickettsiosis, Rickettsia parkeri and 364D Rickettsiosis can be transmitted by the Gulf Coast tick (Amblyomma maculatum) and the Pacific Coast tick (Dermacentor occidentalis), respectively. Q fever (Coxiella burnetii) can be transmitted by the brown dog tick (Rhipicephalus sanguineus), Rocky Mountain wood tick (Dermacentor andersoni), and the lone star tick (Amblyomma americanum). Last but not least, soft-bodied ticks like Ornithodoros hermsi, Ornithodoros parkeri, and Ornithodoros turicata transmit Relapsing Fever-causing species of Borrelia. These ticks can live up to ten years! #2: Lyme disease is the most dangerous thing I can get from a tick. Though life-threatening complications like myocarditis can occur in the later stages of Lyme disease, B. burgdorferi infection is rarely fatal in the first months of infection. Many patients survive years without being properly diagnosed and treated. By contrast, Rickettsiosis (Rocky Mountain spotted fever) can be fatal in the first 8 days of symptoms (which vary greatly from person to person and don’t always involve the spotted rash) if it goes untreated. Female tick saliva also contains a neurotoxin that can cause tick paralysis, which can be fatal if the tick is not found and removed. #3: I can’t get sick unless the tick is attached 36-48 hours. #4: If I don’t go hiking or camping, I’m not going to get bitten by a tick. While participation in these activities does put you at higher risk for tick exposure, ticks can hide out in plenty of other places besides the forest floor, including the leaf litter in your yard. Ticks can hitch a ride into your yard on any of the wildlife on which they feed, including deer, mice, squirrels, and birds. They can hitch a ride into your house on your dog or cat. And don’t forget other four-legged friends like horses and sheep. If you have mice in your house or attic, you probably also have ticks. To avoid exposure, you should limit your contact with leaf litter, tall grasses, wood piles, and bird feeders. When hiking, stay in the middle of trails, wear long pants tucked into your socks, and wear repellent. Avoid sleeping in cabins that may be infested with rodents (and thereby ticks). After spending time outdoors or with animals, do a thorough tick-check. (This requires getting naked.) And if you’re a fan of spelunking, know that ticks—particularly soft-bodied ones—can live in caves too. #5: If I don’t have a rash or a fever, the tick that bit me didn’t give me a disease. At least 20% of people infected with Borrelia burgdorferi (Lyme) don’t have the characteristic erythema chronicum migrans (bull’s-eye) rash (EM). People with other tick-borne illnesses may be asymptomatic or have other symptoms (like joint and muscle pain or fatigue) that may not directly suggest an infection. That’s why it’s important to keep track of all of your symptoms following a tick bite, and to save the tick for identification and testing. You should always make sure your doctor is aware of any tick bites or tick exposures you may have had—and be clear about what regions/countries you’ve visited and what animal exposure you’ve had. #6: I can use soap or Vaseline to remove a tick, and afterwards I should burn it with a match. The proper way to remove a tick is with tweezers, grabbing the tick close to the skin, and using a slow, steady motion to pull it out. Using soap or Vaseline will not help you get a better grip on the tick, and may increase the likelihood that you squeeze the tick, causing it to regurgitate bacteria and other pathogens into your skin. Once you remove the tick, you should store it in a secure container and bring it to your doctor’s office for identification and testing. If you do get sick, it will be helpful to know what kind of tick it is and what pathogens it’s carrying. Don’t destroy the evidence with a match! If for some reason you can’t save the tick (because you’re too busy spelunking), at the very least try to take a picture of it. You’ll probably need a zoom lens. So how do I spot them? I usually try to link to pictures of ticks instead of posting them on this site because seeing tick photos can be a bit traumatizing to those of us who have been sick with tick-borne infections. However, for the purpose of prevention education, I’ve included pictures of all the ticks mentioned in this post (that I could find) in the slideshow below. You can read about the geographic distribution of hard-bodied ticks in the U.S. here and the habitats of soft-bodied ticks here.